T. ferreyrae x ?, Barry Genn. Seed gathered by Barry in 1994 from a plant provisionally identified as T. ferreyrae and seed sown. The resultant seedlings were thought to be from self-set seed. 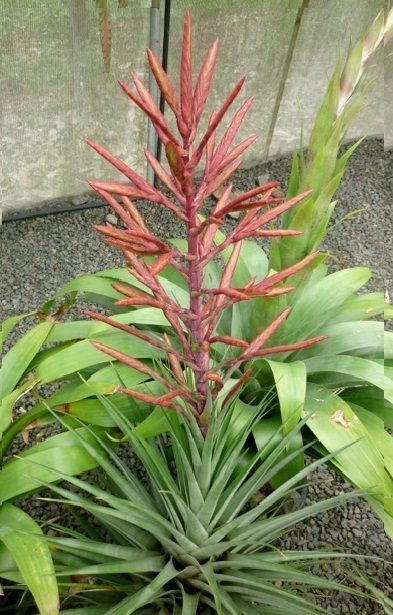 The first plant to produce a flower spike was in the collection of Bruce Dunstan in 2011 but clearly not all the seed were self-set. 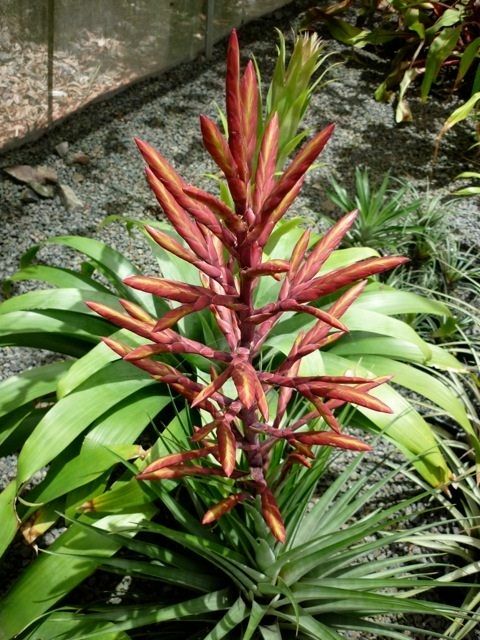 From memory, Barry could only recall a red form of T. fasciculata being in flower at the same time and when you look at the inflorescence it certainly seems feasible. While ‘Lucky Strike’ has attractive red floral bracts it has failed to produce an actual flower to give us a clue as to the pollen parent. Its failure to actually flower is compensated by a multitude of offsets. The plant is about 80cm in diam with the inflorescence rising to 1.2 m.